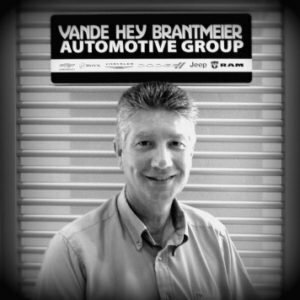 I have been in the automotive industry for over 45 years. I got my start in 1972, washing cars at a dealership in Appleton, WI. That was also the same year I graduated from Hilbert High School. In 1974, I earned a degree in Accounting from Fox Valley Technical College. 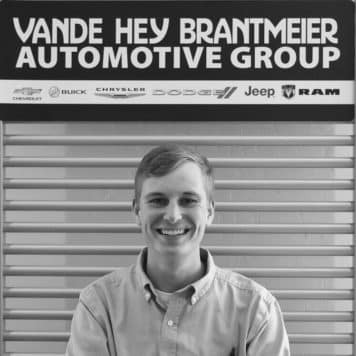 Upon graduating, I transitioned into the full-time role of Rental and Leasing Manager at the same dealership in Appleton. 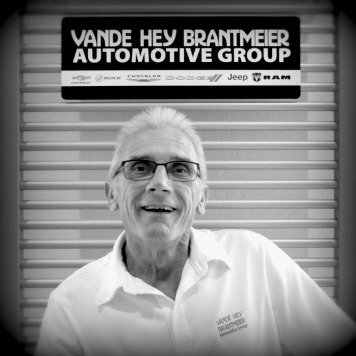 In 1980, I joined Tom Vande Hey as a partner in an independent used car dealership. We grew to have three locations in Little Chute, Menasha, and Appleton. 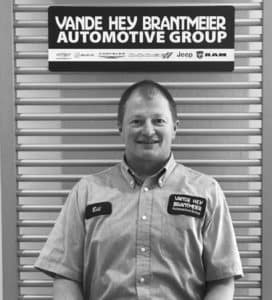 After operating those dealerships for over 10 years, we entered the new car business in 1991 by purchasing the GM and Chrysler franchise in Chilton, WI. In 1998 we opened a new 16,000 square-foot collision center. 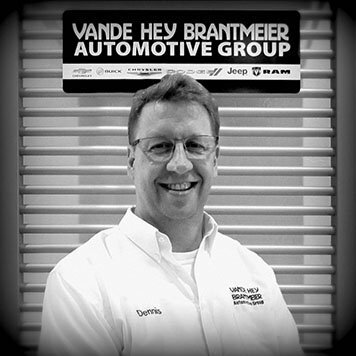 In 2000, we acquired Central Garage of Potter, WI and added the Jeep, Dodge, and Ram franchises. I currently reside in Hilbert with my wife Debbie. We have two grown children, Justin and Krista, and two grandchildren. When I’m not working, I enjoy spending time in northern Wisconsin and snowmobiling. I grew up in Hilbert, WI. After graduating from Hilbert High School, I left for Milwaukee, where I lived for 12 years. While in Milwaukee, I graduated from Marquette University with a double major in Finance and Marketing. I then worked for a wealth management company, was a finance director at a large import dealership, and then an account manager for an automotive CRM company. 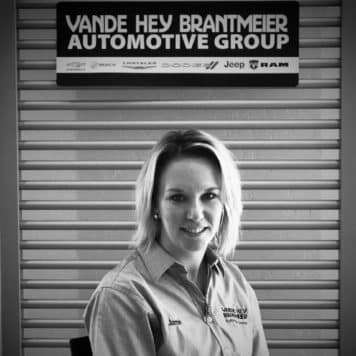 I originally started working at the dealership doing various jobs as early as 1995. 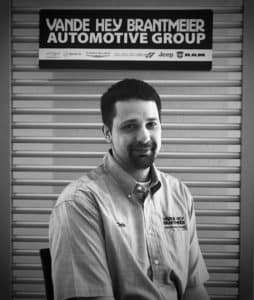 In 2012, I moved back from Milwaukee and joined the dealership full time. 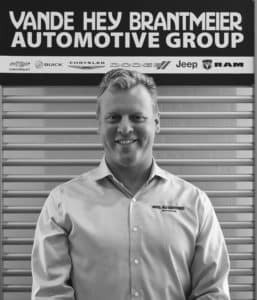 In 2013, I completed a seven-week Dealer Candidate Academy in Washington, D.C. Additionally, I have have completed dealership training from NCM, NADA Digital Dealer, Zurich, American Financial, and JM&A. I currently reside in Sherwood with my wife Becki and our son Miles. In my free time I enjoy spending time in northern Wisconsin, boating, golfing, snowmobiling, woodworking, following all Wisconsin sports teams, and reading. 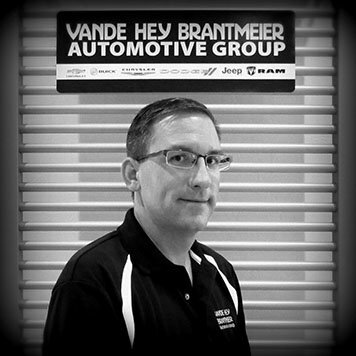 I have been in automotive sales since 1987 and managing since 1992. I relocated to Hilbert, WI with my wife that I have been with for more than 7 years. I enjoy small town living. In fact, Hilbert is bigger than the town I relocated from. My interests include our dogs, music, trying new restaurants, cooking, collecting and pinball. 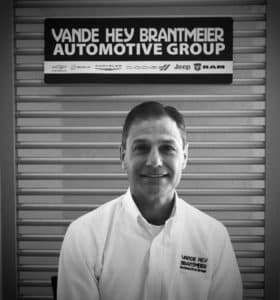 I am thrilled to be part of the Vande Hey Brantmeier team and meeting so many good people each day. My name is Jerry Halbach. 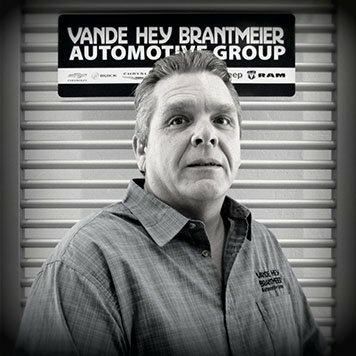 I’ve been in the car business since 1988. After growing up a short distance away in Jericho, WI, I attended Chilton High School. 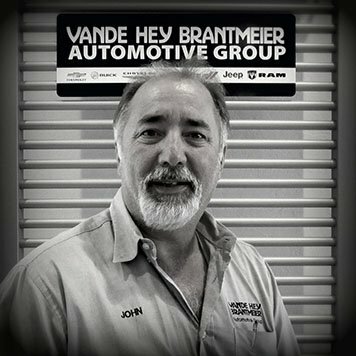 Through the years, I have met some great people that have bought vehicles and have now become my good friends. 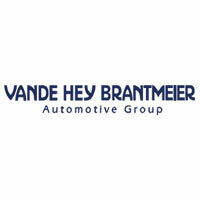 I really enjoy working with my co-workers at Vande Hey Brantmeier. Outside of the dealership, I spend my free time catching up on all the latest Wisconsin sports teams. I have three great kids and two awesome grandchildren. My name is Jerry Nett. I’ve been a Sales Consultant for 27 years, and have been on the Vande Hey Brantmeier GM team for the past 16 years. 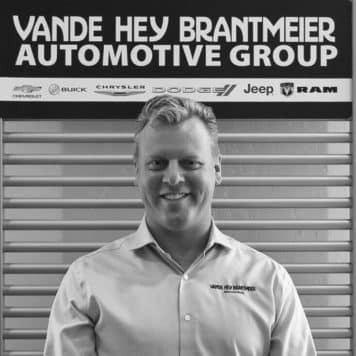 Working with friendly customers and working for a dealership that cares about their customers is what I like best about Vande Hey Brantmeier GM. I grew up in the town of Jericho, WI. I have been married for 27 years and have 2 children. Hunting, motorcycle riding, scuba diving, snowmobiling and boating with friends and family are some of my favorite things to do in my spare time. Born and raised in Forest Junction, WI. Currently live in Little Chute, WI. Graduated from Brillion High School in 2005 — won 2 state championships in football, wrestled and was in track & field. Went to UW-Oshkosh, played college football for 1 year and graduated in 2010 with a Bachelors Degree is Speech Communication. Got married in September 2015 at Chula Vista Resort in Wisconsin Dells. Love the Green Bay Packers, Wisconsin Badgers, Los Angeles Lakers and Milwaukee Bucks. Have many nieces and nephews including two God children. Enjoy family gatherings, going to Packer games and hanging out with my wife. 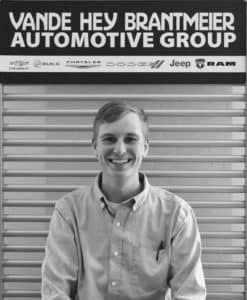 Sell cars because I like meeting new people every day. 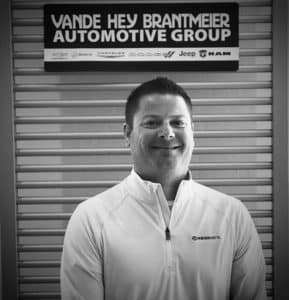 Reg Campsall has been selling and leasing vehicles since 2015 at Vande Hey Brantmeier and lives right here in Chilton. 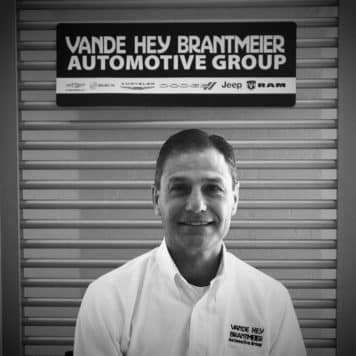 He has been in the automotive industry since 2002 and used to own his own auto detailing business in the Fox Valley. 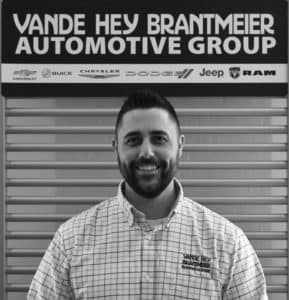 He has over 8 years of sales and customer service experience. He has been blessed with 3 boys and enjoys raising them with his wife – a Chilton native. Tana Spevacek joined the Vande Hey Brantmeier team in February 2017. 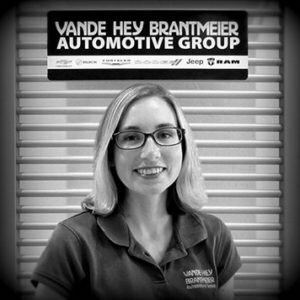 Having been in sales for over five years, she continues to enjoy meeting new people and learning new things every day. She is also proud to be the only gal on the sales floor! Although her family is originally from the South, she has lived in Two Rivers for nearly 20 years, where she resides with her husband John. They have two pets: a dog (Duke) and a cat (Bernie). In her spare time, Tana enjoys reading, hunting, and fishing. She also likes being outside as much as possible when it’s nice out—especially when she has the opportunity to paint, garden, and spend time with family. An interesting fact about her is that she does photography for special occasions. Jared Nelson joined the Vande Hey Brantmeier team in April 1999. 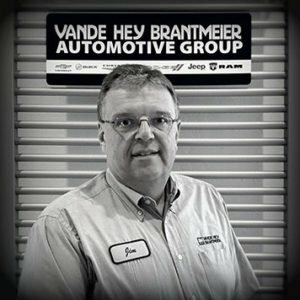 He has been a service advisor for over 20 years! 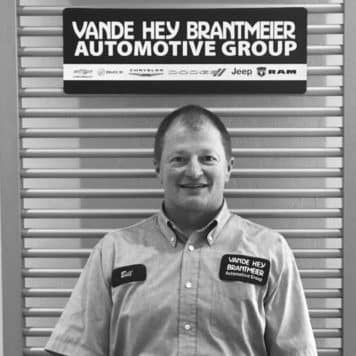 Before his career as a service advisor, he worked as an auto body and paint technician. 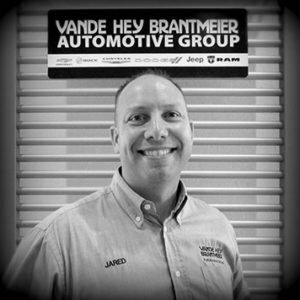 Jared’s favorite aspects of his job include building relationships with people, meeting their vehicle needs, and keeping their vehicles safe and reliable. He currently resides in Manitowoc, his hometown, with his wife Julie. They have five adult children. In his spare time, Jared enjoys spending time outdoors, especially back country camping, hiking, and hunting in remote areas. He also enjoys golfing and water sports. 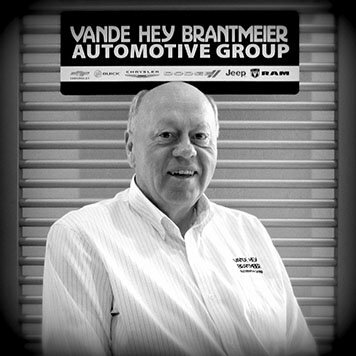 My name is John Martin and I am the General Sales Manager at Vande Hey Brantmeier Chrysler Dodge Jeep Ram. I have been in the automotive industry for 26 years. 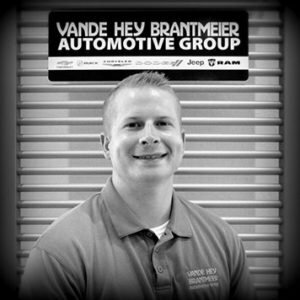 I was born and raised in Chilton, and that is why I like working here at Vande Hey Brantmeier. I know most of the people that come in and also enjoy meeting the new people. The small town atmosphere is what I like the most. I believe everyone is treated like we have known them forever and that is what separates us from the super stores. Your time is important to us and we truly appreciate your business. I have been married for 26 years and have twin daughters who are in college. My job and family take up most of my time, but when I get a chance, I like to golf, take motorcycle rides and attend track meets that my girls compete in. My name is Todd Klein. 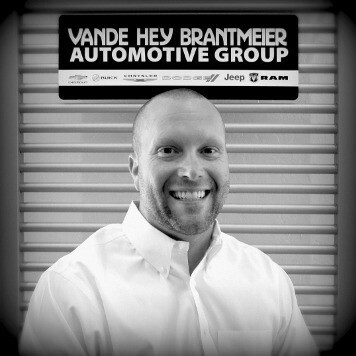 I have been the Finance Manager at Vande Hey Brantmeier Chrysler Dodge Jeep Ram since 2001. I have over 20 years experience in the auto industry in finance. I am married and have two daughters. I like hunting, fishing, golfing and shooting trap. My wife and I love Aruba and vacationed there numerous times. 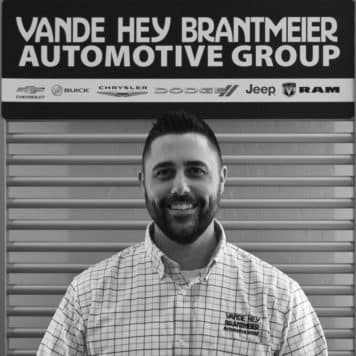 My name is Mike Boll and I am a Sales Consultant at Vande Hey Brantmeier Chrysler Dodge Jeep Ram. I have been in sales for 22 years; previously, I had been in the bar business for 30 years, which gave me a good following that helped in the car business. I will go out of my way to make the customer happy even after the sale, whether it’s programming a Homelink at their residence or picking their car up for service. Working at a small town dealership that works well together is an added bonus. I grew up in Menomonee Falls and Chilton, WI. I have a son, step children and step grandchildren. In my free time, I like to go fishing, golfing and motorcycle riding. 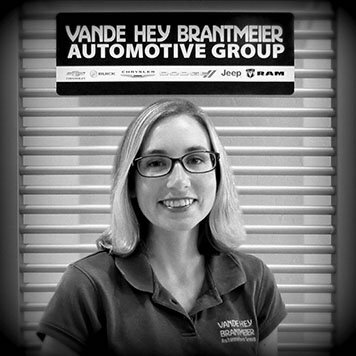 My name is Stacy Schweitzer and I have been part of the Vande Hey Brantmeier Chrysler Dodge Jeep Ram team since 2005 as a Sales Consultant and as the Bid Specialist and Mobility Specialist. I enjoy working with customers and helping them find a vehicle that fits their wants and needs. I am married and have one son. In my free time I enjoy playing golf and farming. 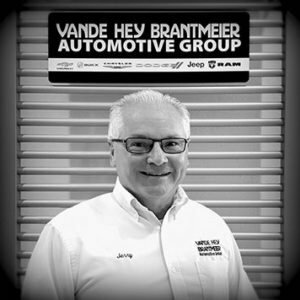 John Rezachek started at Vande Hey Brantmeier in 1995. He has been in the auto industry for over 30 years, most of which have been with VHB. Originally from Manitowoc, he resides in Chilton with his wife Katie. Some of his hobbies include woodworking and home repair. 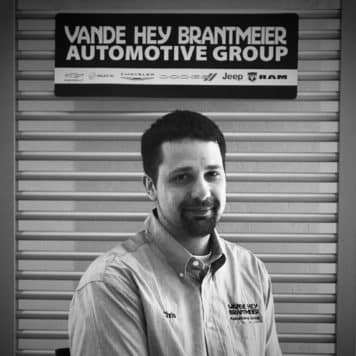 His favorite part of his job is the relationships he forms with his customers. 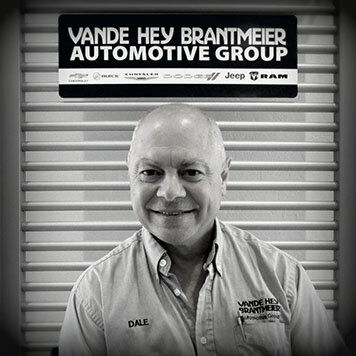 My name is Dale Gebhart. 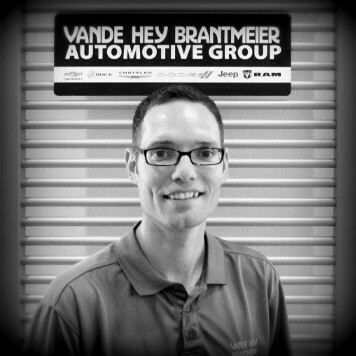 I am the Parts Manager at Vande Hey Brantmeier Chrysler Dodge Jeep Ram. 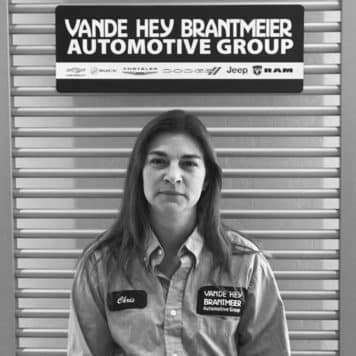 I started in 1976 at Pfister Chrysler Plymouth in New Holstein as the Parts Manager. 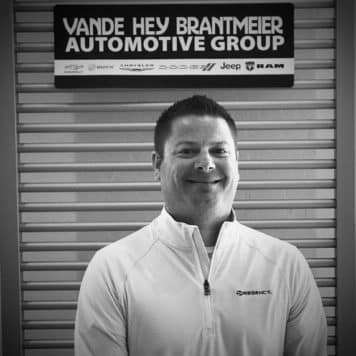 The dealership was then bought out by Schwiderski and moved to Chilton. 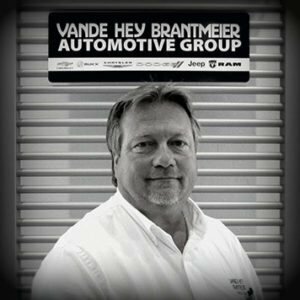 In 1991 Vande Hey Brantmeier purchased the dealership. 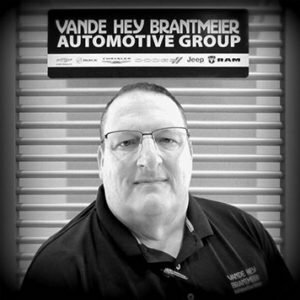 What I like most about working at Vande Hey Brantmeier is to see how the looking up of parts has changed in 30 years, from books to microfiche to DVDs to internet. I have been married for 27 years and have 5 children. When I’m not working, I enjoy camping. My favorite food is rhubarb pie. The first car I ever owned was a 1970 Chevrolet Nova. My name is Dan Vande Hey, I am the Sales Manager for Vande Hey Brantmeier Auto Sales Used Car store in Appleton. 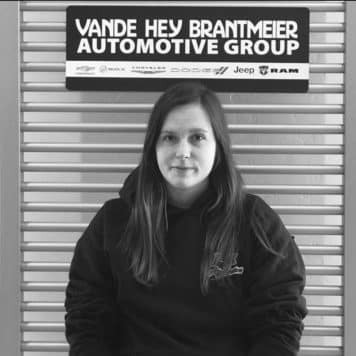 I got started in the automotive industry in high school where I trained to be an Automotive Technician, and continued on to Fox Valley Tech and was an ASE Certified Technician. 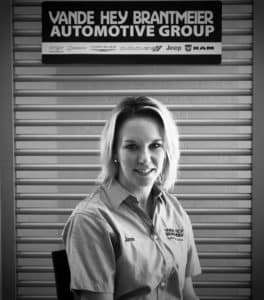 After gaining my knowledge of the vehicles I wanted to interact with customers more and help them with their families needs. I am passionate about building relationships with my customers and walking them through the purchase process and helping with any of their needs even after the sale. I do not want to sell you a car, I want to be someone you trust and keep coming back to time after time. I have been with Vande Hey Brantmeier Auto Sales since 2003 and really enjoy the family atmosphere. They allow us to take care of our customers and operate with integrity and honesty. I am married and have 2 awesome little boys. I enjoy golfing, watching the Milwaukee Brewers, anything outdoors, traveling with my wife, and spending time on our boat with family. My name is Dennis Schabach. I have been part of the Vande Hey Brantmeier Auto Sales Used Car store in Appleton since 1980 as a Sales Consultant. After 32 years in the auto industry, I still enjoy coming to work every day because of the small town friendly atmosphere. Outside of work I enjoy golfing, bow hunting, home renovation, and spending time with my good friends.